While fish and shellfish are ​on the big 8 list of food allergies, they tend to affect adults more than young children. There are also some fish you will want to avoid whether or not you have a history of allergies. This is because of the high mercury content. You can give your child fish or shellfish at any time once they've gotten a good start with solid foods. 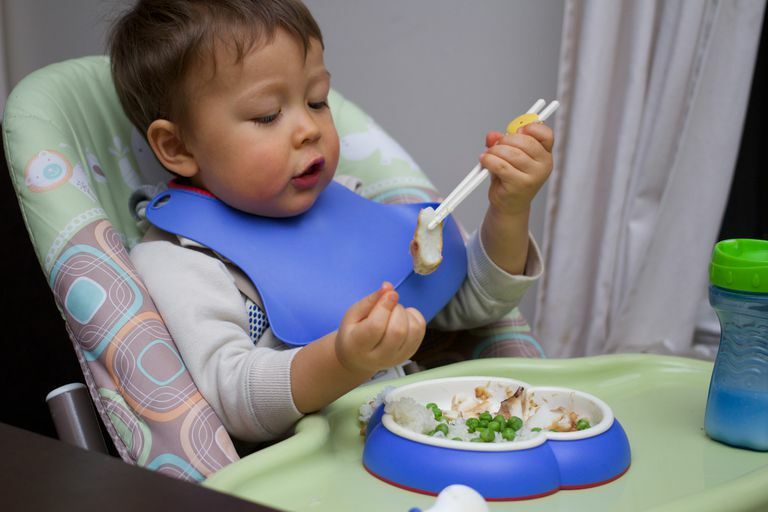 The American Academy of Pediatrics used to advise parents to wait, but they've recently changed this stance saying, "Within a few months of starting solid foods, your baby’s daily diet should include a variety of foods each day that may include...fish." A study that was published in the Archives of Disease in Childhood even found that babies who start eating fish before they are 9 months old have a lower risk of getting eczema, which is considered to be an allergy-related condition. In many other countries where fish is more of a staple in the diet, babies are fed fish before other meats and they eat it more often than our staples of chicken, pork and beef and they do just fine. When introducing fish, make sure that it's fully cooked and first try mincing it very fine and blending it in with vegetables that have already been introduced without problems. Always check fish and shellfish for bones and bits of shell. Be sure to check nutrition labels for fish ingredients and allergy statements which are required by the FDA. Whether or not you have a history, the first time you introduce fish or shellfish, be sure to watch for the signs of an allergic reaction (hives, difficulty breathing or asthma symptoms, swelling of the mouth or throat, vomiting or diarrhea and loss of consciousness), know how to respond and be ready to call 9-1-1 immediately. The FDA recommends that you avoid giving young children shark, swordfish, king mackerel and tilefish because of the high mercury levels. Pregnant and nursing women should also avoid these fish. Good fish to start your baby on (after he's been having solids for a couple of months) that are low in mercury include shrimp, canned light tuna (albacore is higher in mercury), salmon, pollock and catfish. If your fish is locally caught, the FDA advises contacting local authorities first to see what's safe. When Can You Give Your Baby Tree Nuts? When Can I Give My Baby Wheat? When Can You Give Your Baby Chocolate? What Signs Should You Look for When Your NICU Baby Can Be Held?